A teenager from Estaire is hoping specialized radiation treatments in Jacksonville, Florida will blast the last bit of her brain tumour away. 18-year old Marisa Basso was diagnosed four years ago. She has had several surgeries in Toronto. The last one, in June, was able to get more than 90 per cent of the tumour. 18-year old Marisa Basso of Estaire, Ont., will soon be heading to Florida, but not for a vacation. The teen will be heading to Jacksonville, FL., for six weeks of specialized treatment of her brain tumour. When Basso was 15 she had a grand mal seizure. After numerous tests, and an MRI scan she was diagnosed with a brain tumour. She has had several surgeries in Toronto, including the last one in June, which she says got more than 90 per cent of the tumour. "Right now, there's about five per cent of the tumour left, plus another tumour. I actually have two tumours." Her oncologist wants her to go to Jacksonville, for proton radiation treatments on both tumours. "It's a special kind of radiation that is more focused than the kind of radiation we have in Canada. So it won't radiate as much [of] my brain," Basso said. The treatment in Florida will be covered by the Ontario Health Insurance Plan (OHIP). "But we're going to have to cover the costs of living there for six weeks, as well as food, and getting there and back, and all the other costs. [OHIP is] just covering the treatment." 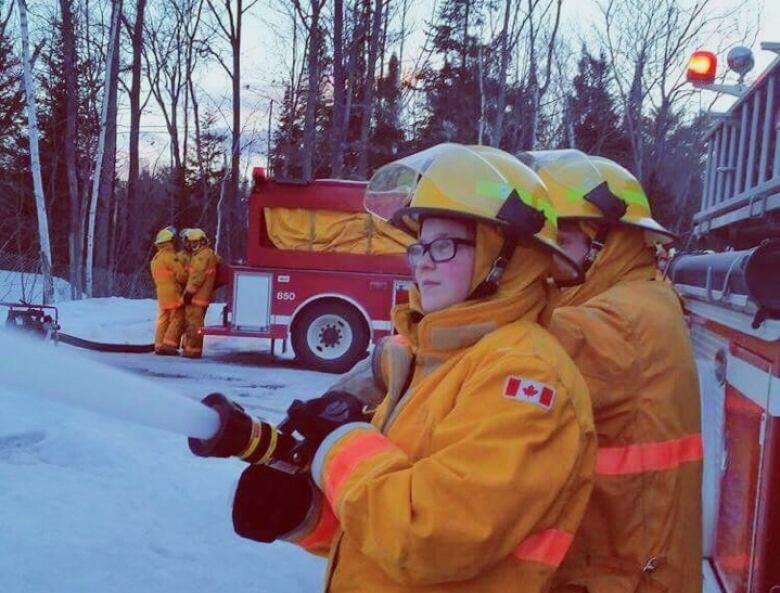 To help offset the cost, her family is holding a fundraising car wash and a bottle drive this Sunday between 10 a.m. and 4 p.m. at the United Steelworkers Hall on Brady Street in Sudbury. Basso's cousin, Meghan Gravel, is organizing the weekend event. "We're not setting a minimum amount to pay, it's whatever donation toward Marisa," Gravel said. There is also a Go Fund Me page to help with expenses. "Originally it was to raise the funds for her to go to Toronto to have the first surgery done. But we've kept it going now that we know that she's got to go to Jacksonville, and it's going to be even more expensive than we thought," said Gravel. Basso is an environmental studies student at Laurentian University. Unfortunately since the six weeks of treatment will fall within this next semester of school she says she'll have to put her education on hold, but hopes to be well enough to return in January. Basso also works as a volunteer firefighter in Estaire. "I always wanted to do it, and then when I was old enough to do it, I decided just to go for it," she said. Gravel, who is also a volunteer firefighter, added that Basso started in Estaire as a junior firefighter. "Then when she became 18 she was able to do the real thing." Basso says the Tuesday night training sessions for the volunteer firefighters have helped distract her from her health issues, and she's anxious to return to that activity after her treatments. "This 'adventure" has taught me a truck load of things like, you should always say I love you because you never know what the future holds. One day you're here and the next you're gone. Most importantly though I've learned that I am surrounded by the best people in the world."